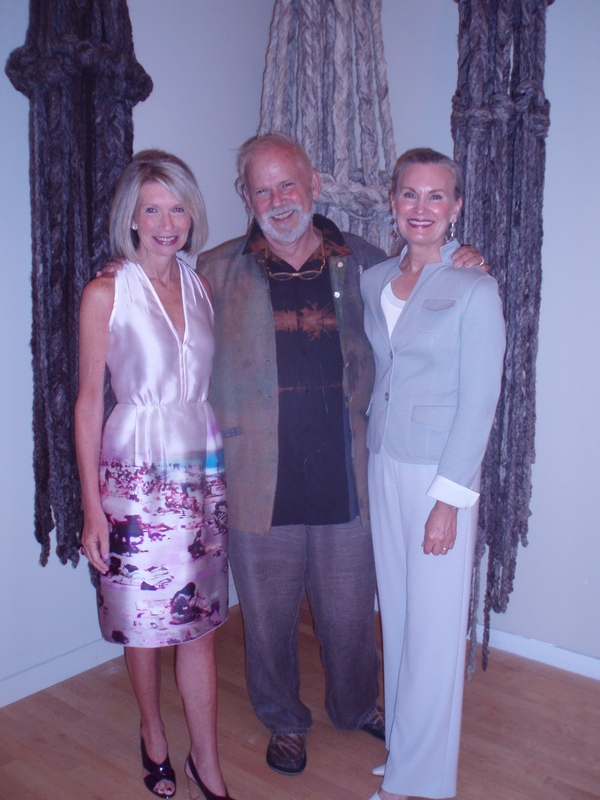 Randall Darwall, shown here with ACE co-chairs Jan McKnight (left) and Karen Ribbon, discussed design and details of his fiber-cloth art at a special presentation in anticipation of the American Craft Exhibition (please see accompanying article). “The Uncommon Thread: A Conversation with Randall Darwall,” features the well-known ACE fiber artist discussing his work as a studio cloth-maker and artist. The event will take place on Saturday, July 10, from 11 a.m. to noon at the Block Museum of Art, Northwestern University, 40 Arts Circle Drive, Evanston. Please join us at 10:30 a.m. for a pre-discussion coffee reception! Darwall will display his work at ACE 2010, to be held August 27-29.